Sometimes laughter, sometimes tears. But always food for the soul. 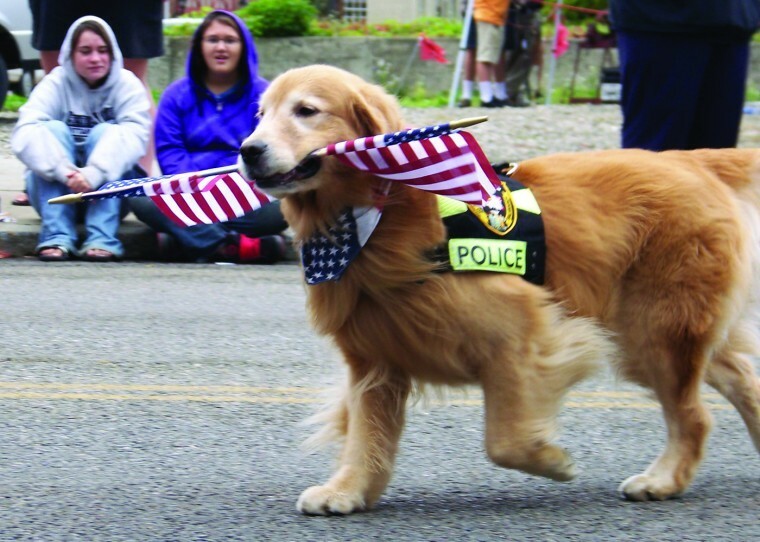 ROBIN IS THE FIRST GOLDEN RETRIEVER IN HISTORY to win the American Kennel Club Humane Fund Award for Canine Excellence (ACE) in Law Enforcement . This is an incredible feat and we are so proud that Mary MacQueen and her boy Robin (Am-Can Ch. Nitro’s Boy Wonder SDHF BISS TDI CGC Police K-9/Search and Rescue Dog). 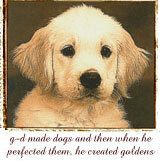 We came to know about Mary’s exceptional work in 2002 when she shared the story of Golden Working Dog-in-Training Buddy. And, we wrote about Robin earlier this week when I learned of his Cutaneous Epithelioltropic Lymphoma diagnosis and their being laid off from the Salamanca Police Department due to budget disputes. Robin’s story was featured yesterday and today in The Salamanca Press, a paper that has been following his work in the community for several years now. FREWSBURG — Less than a week after owner Mary MacQueen learned her dog, Robin, had been diagnosed with a malignant form of skin cancer, the pair visited Cornell University to run additional tests. After several tests — including chest x-rays, ultrasounds, blood work and urinalysis — the diagnosis was confirmed: Robin has Cutaneous Epitheliotropic Lymphoma. Although MacQueen doesn’t expect to hear the complete results from the test for about a week, she does know Robin will at least have to undergo 16 days worth of radiation as well as another surgery procedure to followup one which removed a minor bump on Robin’s rib cage earlier in the month. Depending on what the results determine, Robin may also need to have chemotherapy conducted. MacQueen said the radiation is expected to cost at least $6,000, and she has been accepting donations online from friends, family members and fellow dog lovers. She said she wants to help not only Robin, but to raise awareness for the disease in general. Come over to grants.landofpuregold.com/robin.htm to learn about Robin’s strong work ethic, this week still doing a drug demonstration for elementary school children. And, see how much we have now raised for his care at Cornell. This entry was posted in Canine Cancer, Drug Detection Dogs, Fun Videos, Golden Retriever Videos, Golden Working Dogs, Search & Rescue Dogs. Bookmark the permalink. CONGRATULATIONS ROBIN, now lets beat this cancer!!! I will pray for you and Mary. Live Love Laugh & Learn! Taking a Bite out of Cancer!